So how about that Terminator: Genisys Trailer? Eh? 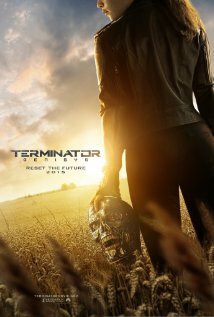 So Terminator: Genisys had its first initial trailer release (marked by its first trailer for its first trailer one day earlier). I’ve seen it. Have you? So what did you think? I’m very intrigued by this new film which has enough callbacks to the original. I also like that it isn’t wholly a remake as much as a reboot where the previous material still matters. I hate when filmmakers are so lazy that they can’t come up with a good existing idea that remains canon with the rest of the series. I like that Arnold is back like he said he would be. So what did you think? Are you stoked? Do people use the word “stoked” anymore? Let me know!